Making an impression in the modern pop music scene can be nearly impossible. Homogeneity runs rampant with everyone using the same chorus-heavy style of songwriting, and EDM-influenced beats. In 2015, Alessia Cara broke through the muddled pop field with her crooning smash hit “Here” off her debut album Know It All. The song instantly set Cara apart from the rest by featuring the 22-year-old singer’s alluring vocals and introverted lyrics. With a follow up album on the horizon, Cara returns to that same theme with her new song “Trust My Lonely”. 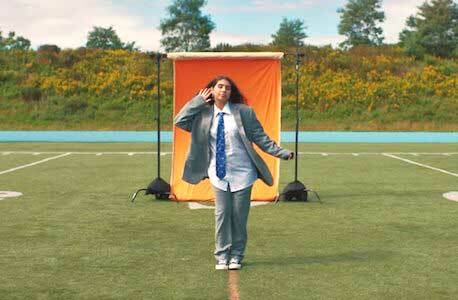 Alessia Cara wears black chucks and a cool suit in this video. The song is Cara’s reflections on her relationship, with her realizing that she was being used by her partner and that she’s better off alone. The message of this song is to promote a life with no negativity, even if that means cutting out those you think you love. It’s also about the self love that can come with being lonely. This is a constant theme in Cara’s music, but because it’s not often explored by other artists in pop music, it still comes off fresh here. The syncopated rhythms and boppy melodies of the track really put a focus on Cara’s vocals, which are on point as always. 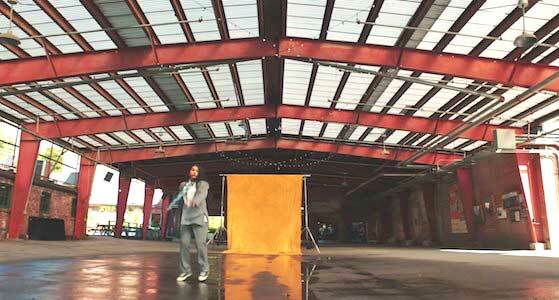 Cara dances in front of giant color swatches for this video. The video begins in an open, green field where there is a sheet flowing in the wind. Suddenly, the music starts and Alessia pops up out of the grass. She is wearing a big suit and a pair of black chucks, and there is a very specific reason she chose this outfit. On Instagram, the singer said that “the oversized suit visually represents the idea of growing up too fast, or trying to fit ourselves into roles that can feel too large to handle”. The chucks act as a pair of familiar friends on her feet, as they’ve made appearances in her videos and everyday style before. The rest of the video plays out with Cara dancing and moving in front of giant colorful sheets, similar to the one that started the video. These sheets move and offer a neat visual aesthetic throughout the video. Cara also spends this video alone and seems quite content with that, which fits in with the song’s lyrics. Overall, this is a very appropriate and stylistically sound video for Alessia as she prepares for her sophomore album. A great look at Alessia’s black chucks. Use the links below to get yourself a new pair of chucks, always a great companion.